Forge House formerly the Post Office. 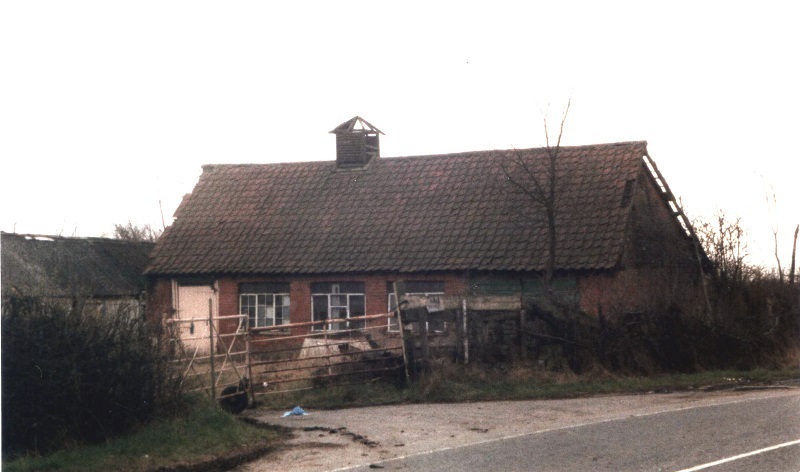 The first picture from 1981 is the building marked on the auction map as "Post Office" and it looks about as inviting as some modern post offices. Since this picture was taken (from the Noak Hill Rd) the house has changed little but an old barn and other outhouses that were severely damaged in the 1987 "great storm" have been removed and another major dwelling has been erected to the west. 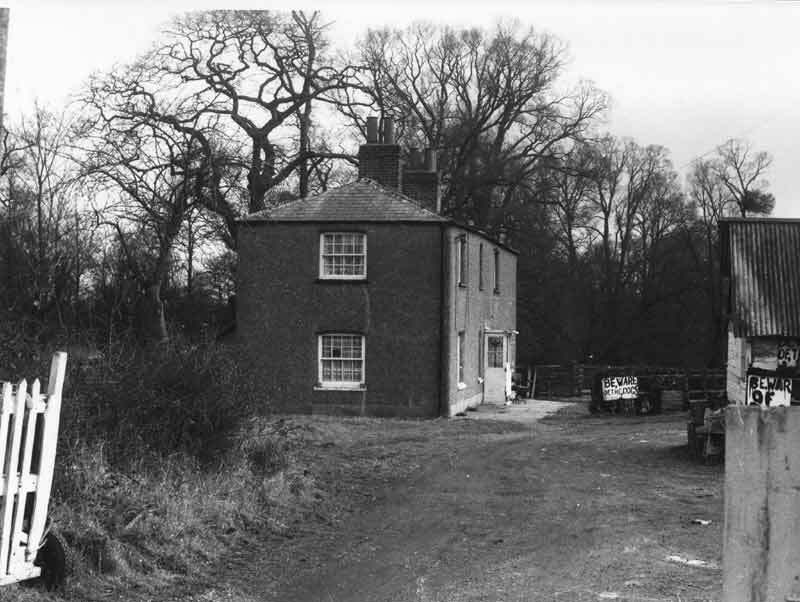 Below that, one of the dilapidated outbuildings that stood to the right of the entrance shown in the first picture ( Don Tait 86/7). It no longer exists, not really surprising as it was in a very poor state of repair prior to the "great storm". 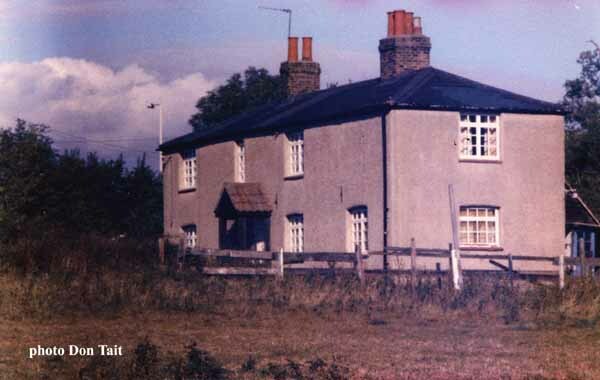 On one map it is labeled as "Smithy" that makes sense as it has a strange chimney stack with no pots, possibly a furnace flue. The second last photo also by Don Tait was taken in 1991 from the opposite direction to the first. 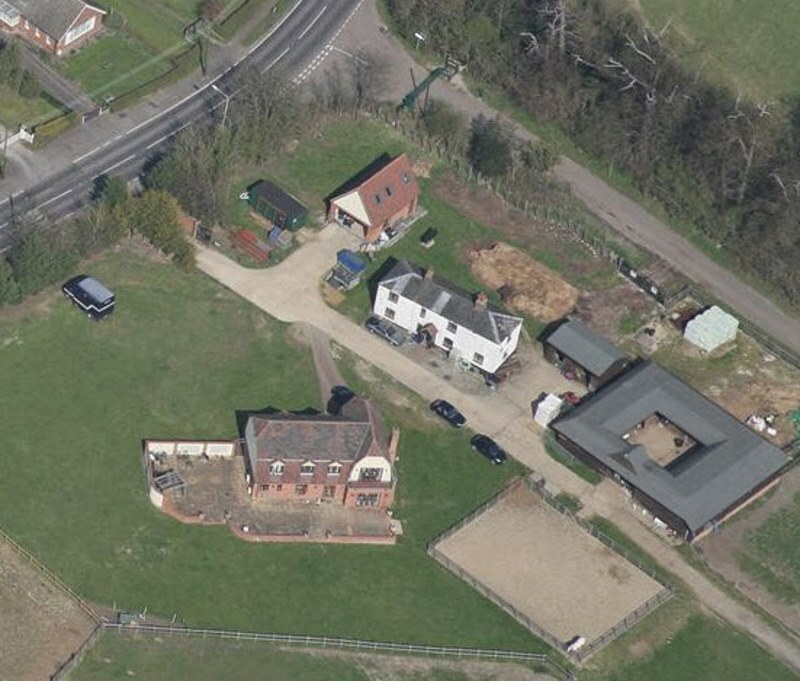 The last photo is a modern, apx 2012, aerial shot, courtesy of Google. The white building in the centre is the old Post Office still pretty much unchanged. Not to be confused with The Forge (now a tearoom, 2018) opposite on the other side of the road.